Earlier today I talked my younger daughter into going with me to walk the dogs – all it took was to point out to her that the sun had come out. As we walked out the sun was dazzlingly bright and there was a soft, drizzly rain. It was beautiful. Not one to miss an opportunity, she quickly asked if we would see a rainbow. Good question I said – maybe we would. We went out around the corner and the light was really wonderful – the late afternoon sun was lighting up the light rain. Then the rain got thicker and heavier – wetter, really. 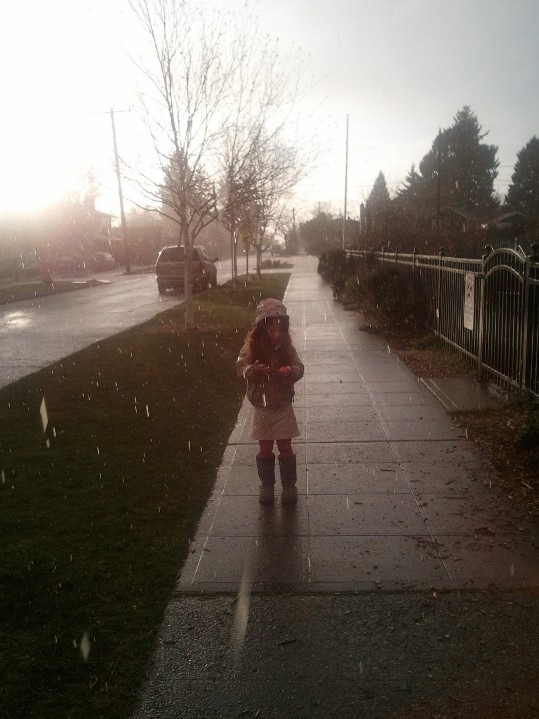 Then my daughter noticed it was hail. Suddenly the hail came streaming down in wet streaks. Very wet – we were getting soaked. 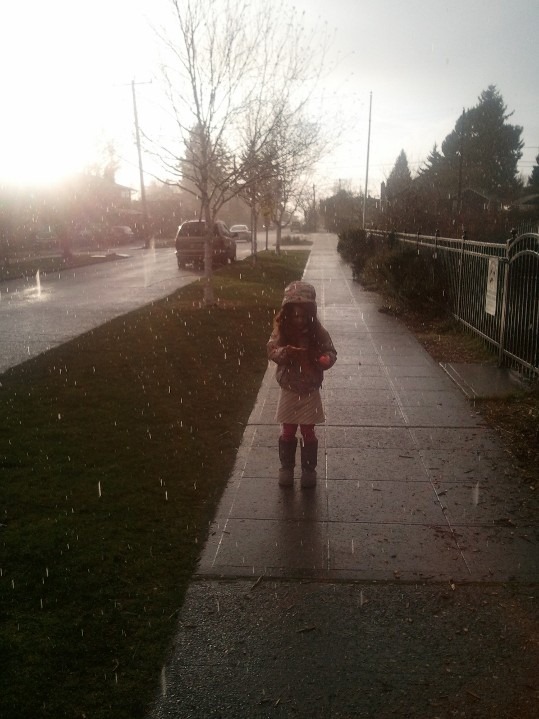 I took my phone out, turned around and took a bunch of photos as she walked toward me trying to catch the hail. The sun was behind her and made for a perfect photo opp. I’m just glad my phone’s camera was up to the task. Here are two of the best photos. I love that you can actually see the hail being lit up by the sunlight. ← Really, Do I Have to Eat Greens to Get Better?